Bored of plain text message? 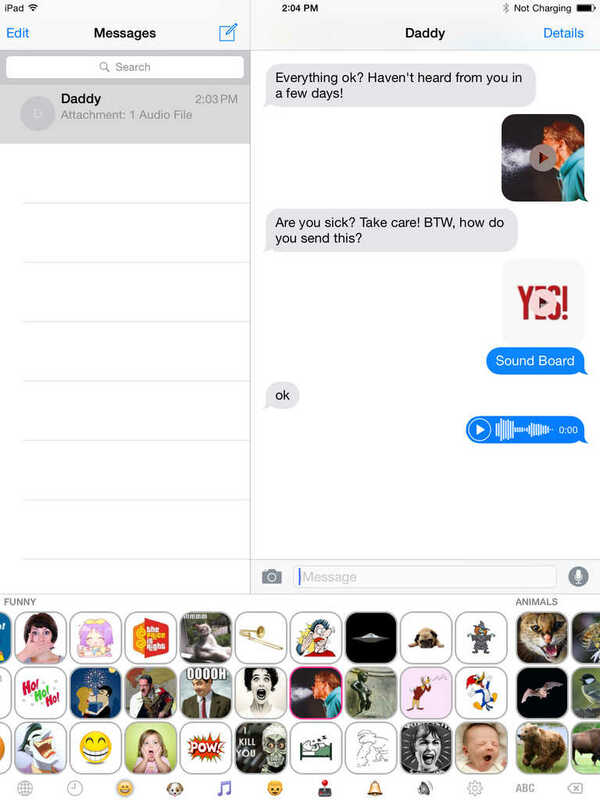 Now with SoundBoard, you can send funny sounds to your friends, send fart sound or dog barking to your best friend, send interesting music to your girl friend, send ghost sound to scare someone! 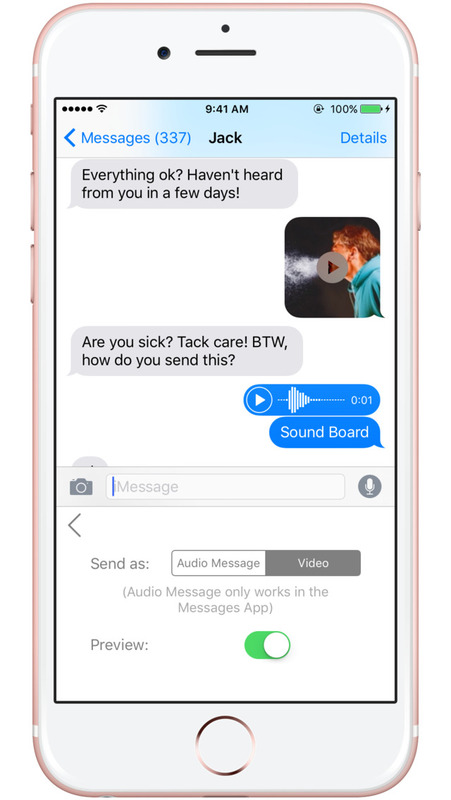 Can be use in any circumstances where audio messages or videos are supported.